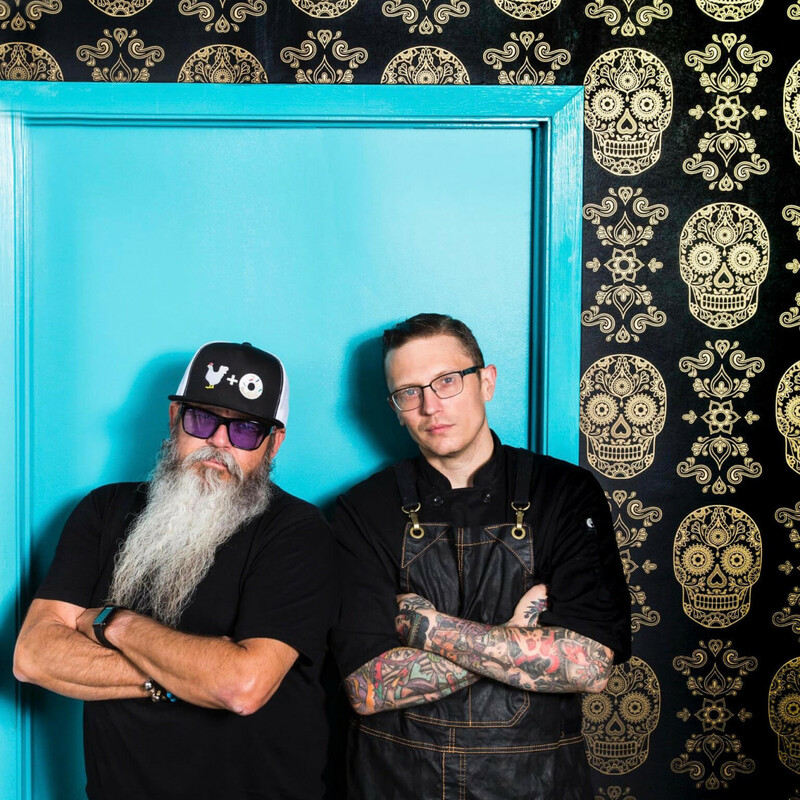 After a gangbusters 2015 that featured a number of restaurants that garnered regional and national attention — places like Helen, State of Grace, and Bernadine’s — the Houston restaurant scene in 2016 had a different tone. Instead of places with James Beard-style aspirations, the locally-owned restaurants that opened this year simply aspire to be valuable additions to the neighborhoods they’re a part of. That means this year’s version of my picks for the year’s best new restaurants can be a little different than last year. Rather than judging them by their aspirations or some perceived ranking of their artistic merit, my list this year has two simple criteria that are decidedly more personal: which restaurants that have opened in 2016 have I eaten at most often and where am I most looking forward to eating again? By those standards, familiar places that serve well-executed versions of classics like barbecue, burgers, and pizza rise to the top. Restaurants that are consistent and serve their customers well stand out, too. I’ve eaten at almost all of these restaurants multiple times and have witnessed their evolution. For places that I’ve visited less often, I’ve relied on the trusted opinions of a small group of trusted friends. Apologies to places like Pinkerton’s Barbecue, Night Market, and Jaxton’s Bistro that may have had a spot on this list if I could have visited them more often or they’d opened a little sooner. Don’t worry about the omission of restaurants from out of town that opened in Houston this year. They’re getting their own list next week. As restaurants rush to open before Super Bowl LI, strong contenders for the best new restaurants of 2017 are on the immediate horizon. I can’t wait to see what restaurants like Riel, One Fifth, and Xochi contribute to the city, never mind places that are slightly more distant like John Besh’s Eunice and whatever the Coltivare guys are doing in EaDo. Without further ado, here's my list. It starts with a restaurant that by both its overall quality and convenient proximity to my apartment made it the new restaurant I ate at most frequently in 2016. People who follow me on Instagram probably won't be surprised by this pick. 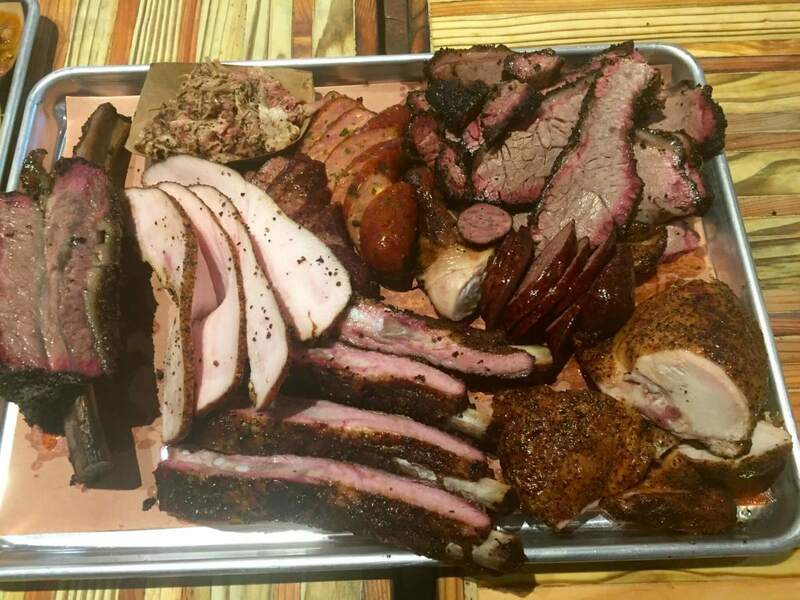 If The Pit Room only provided Montrose with a destination-quality barbecue joint, dayenu, it would have been enough to make this list. If it only used some of the only all wood-fired, offset barrel smokers in the Houston-area, dayenu. If it only served that high quality barbecue for both lunch and dinner seven days a week, dayenu. If only made three kinds of sausage in house, dayenu. 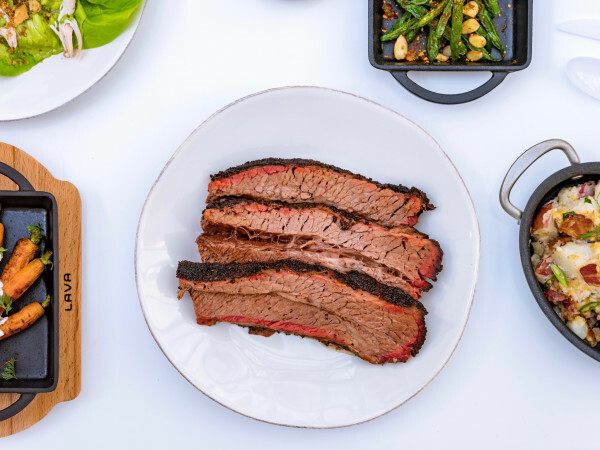 That it does all of those things, along with serving an extensive selection of housemade pickles, tortillas made with smoked brisket fat, and sides that blend Tex-Mex and barbecue traditions — well, that’s enough to make it my best new restaurant of 2016. Mazel Tov. Turning a successful food truck into a brick-and-mortar restaurant can be a perilous process, but Anthony Calleo’s decision to join forces with Cherry Pie Hospitality has taken Pi Pizza to new heights. With proper storage and better equipment, Pi’s offers a larger roster of pizzas than it ever could on the truck (as well as a full selection of sandwiches, salads, and starters), and the ability to proof dough for a longer time means the pizzas taste better than ever. Plus, Lee Ellis’s hospitality expertise means that once unthinkable ideas like serving a pizza with two different sets of toppings or with crowd-pleasing favorites like pepperoni are now standard. 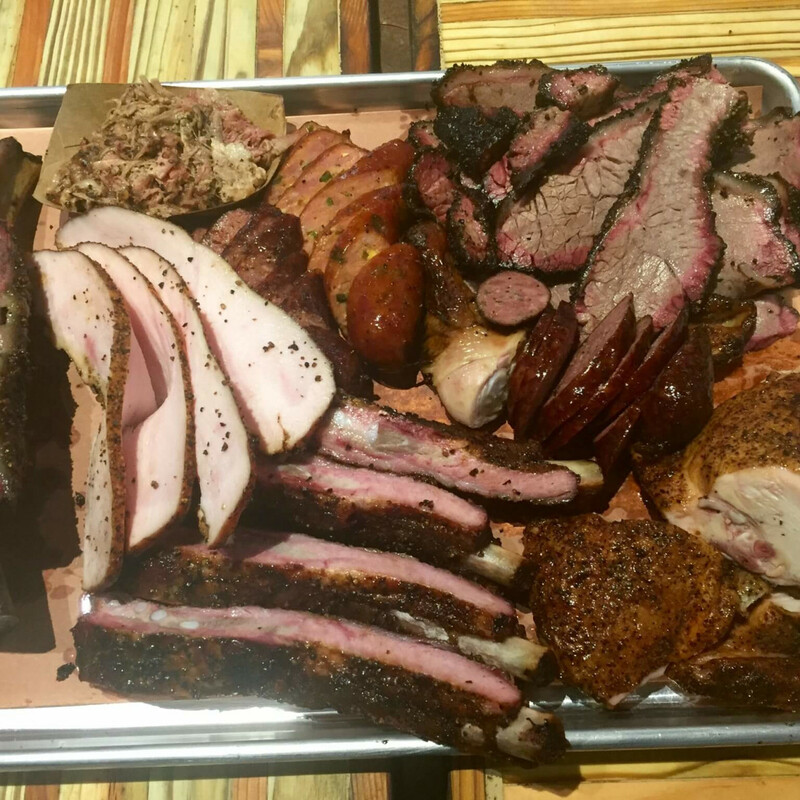 At his new restaurant, Ronnie Killen explores the intersection of live fire cooking that unites steakhouses and barbecue joints. Freed from the expectations that come with the name “Killen’s Steakhouse,” the chef can serve dishes like ravioli filled with smoked beef short rib and candied pork belly without having to worry about, say, shrimp cocktail or Caesar salad. 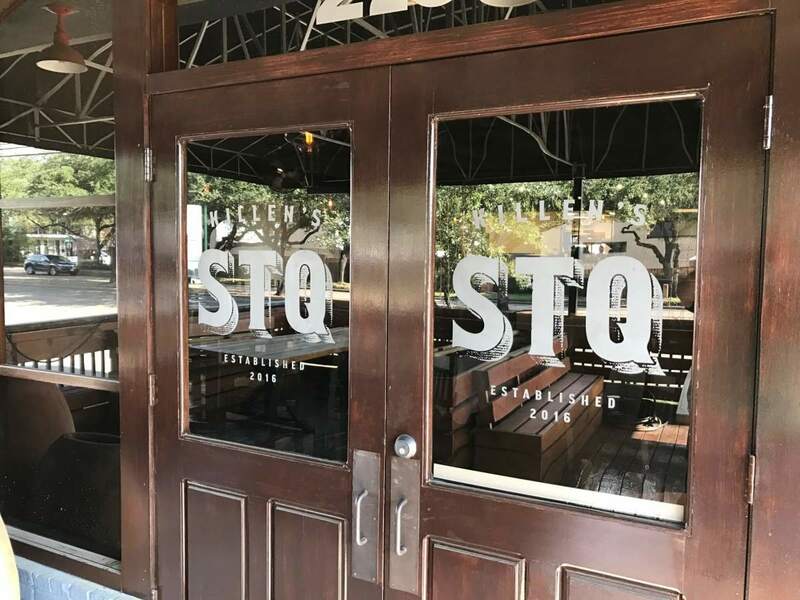 While the restaurant does serve Killen’s classics like steaks and creamed corn, it’s new dishes like a dry-aged long bone pork chop and grilled octopus with fennel and arugula that show off the exciting possibilities of the restaurant’s massive wood-fired grill. 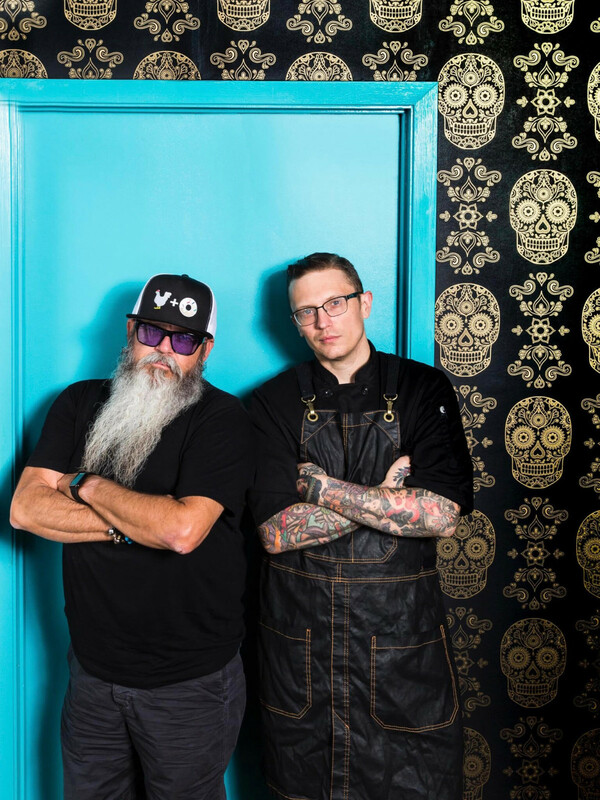 All eyes were on the first concept from veteran restaurateur Lee Ellis’s Cherry Pie Hospitality. As the replacement for Pour Society, State Fare had to overcome a little bit of bad karma. Thankfully, the combination of chef Jim Mills’s well-executed versions of classic Texas comfort food — everything from fried seafood to burgers to group-friendly dips — and a destination worthy beverage program of craft beer and cocktails from Laurie Harvey quickly exorcised any lingering demons. Now that renovations to the space are complete, the room looks as welcoming as the food is tasty. After toiling in relative obscurity for several years as the chef of Kris Bistro at the Culinary Institute LeNôtre, Kristofer Jakob now operates in relatively obscurity as the chef-owner of his own restaurant in Friendswood. 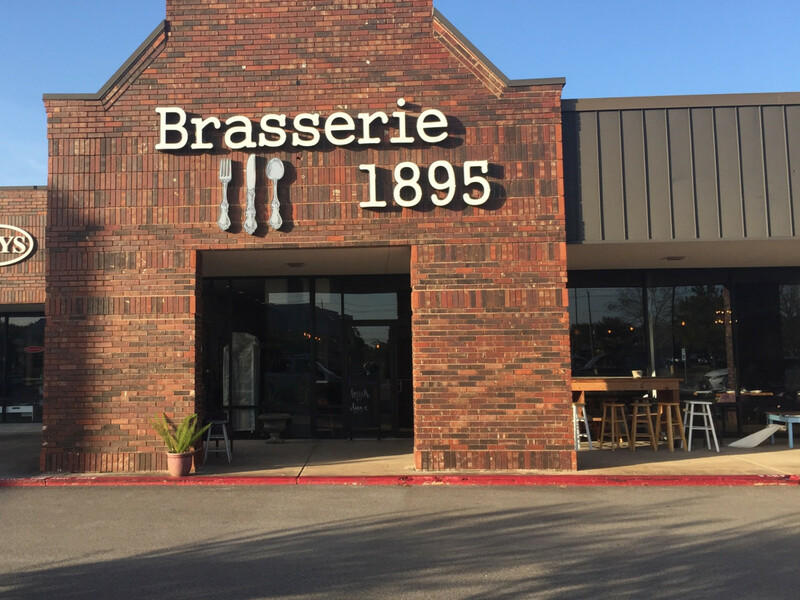 Built around a wood-fired hearth, Brasserie 1895’s menu features freshly baked breads, pizzas, and meat dishes like cassoulet and lamb Rogan Josh. 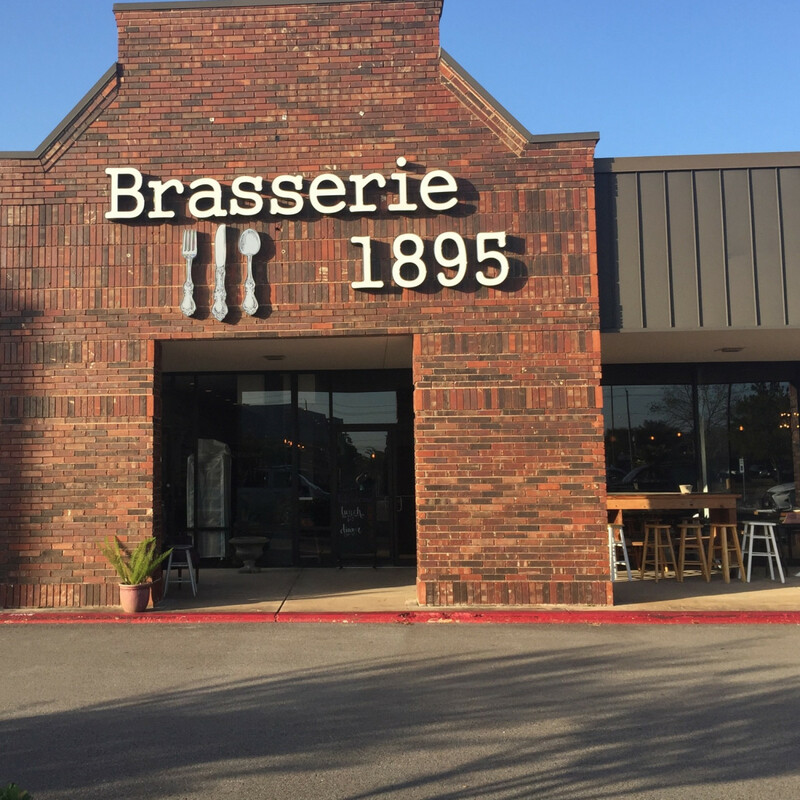 Recently, Jakob has dabbled in luxurious specials like lobster Thermidor and foie gras torchon that make Brasserie 1895 not only the best restaurant in its suburb — but also a place inner loopers should be driving to. 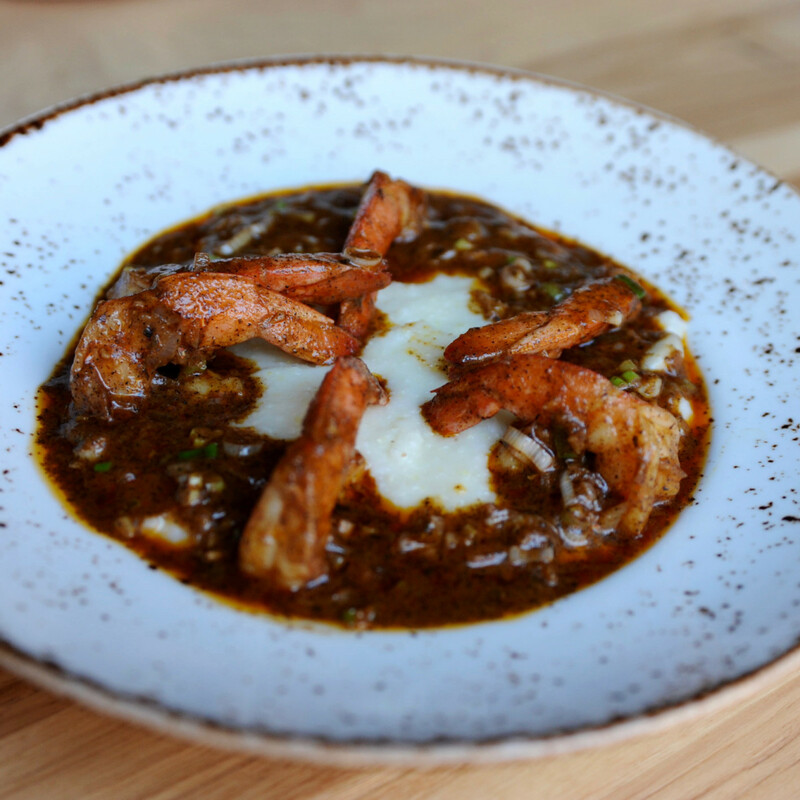 For their move from a take out lunch spot to a full restaurant, owner Addie D'Agostino Teague and her husband, executive chef Dustin Teague, have used Houston’s as the model for what they want Relish to be: comfortable and familiar with consistently solid service. While a menu of salads and sandwiches at lunch and dishes like lamb chops, barbecue shrimp, roast chicken may not be very innovative, it is the sort of food that people might want to eat once or twice a week. That gives Relish to become the sort of restaurant that becomes a neighborhood staple, and a city can never have too many of those. Like Relish, Eloise Nichols represents a step up in terms of sophistication for Adair Kitchen owners Nick Adair and his sister Katie Adair Barnhart. Thankfully, the siblings tapped Joseph Stayshich to craft a menu that blends raw items with inventive twists on familiar fare like the coffee roasted beets and redfish on the half shell. Stylish decor and a thoughtful beverage program make the restaurant a welcome (if occasionally noisy) respite from the chains at nearby River Oaks District. Blacksmith owners David Buehrer and Ecky Prabanto expanded to The Heights with this casual cafe and doughnut shop. 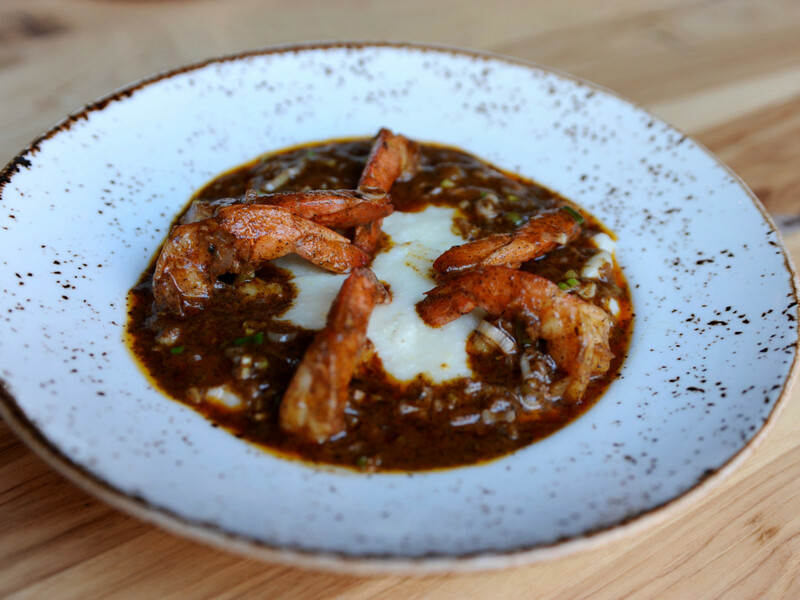 Whereas the food at Blacksmith skews Southern thanks to Underbelly chef-owner Chris Shepherd’s influence, Morningstar has a more Asian vibe with dishes that include savory rice bowls, a sambal-spiced honey butter chicken biscuit, and Vietnamese-inspired shaking beef salad. While I still find the donuts to be too chewy — except for the utterly epic roasted pineapple fritter — the menu’s other dishes make it an appealing breakfast and lunch spot that’s a welcome addition to its neighborhood. Speaking of obscure locations, Willet Feng’s burger joint in the Greenway Plaza food court is worth venturing underground to try. The 80/20 chuck patty benefits from being seared on a griddle to get its edges crispy. From there, Feng tops them with a creative array of toppings: everything from a surprisingly solid Texas chili to Asian-inspired options like sambal mayo and kimchi relish. Extras like a gluten-free rice bun, solid french fries, and well-crafted milkshakes all make it the sort of concept that will hopefully grow to other locations soon. Usually, a burger is about the delicious alchemy that makes the whole greater than the sum of its parts, but at chef Ronnie Killen’s Pearland burger joint, it’s all about the meat. Spend the extra $2 to upgrade from the regular beef patty to one that features, say, dry aged beef and chuck or dry aged brisket and pork belly and revel in the big, beef flavor the burger delivers. Whatever issues the restaurant had when it opened, Killen’s perfectionist streak means they’ve long been resolved. Whether you prefer medium rare or well done, the cooks will hit the mark. When I first learned that the team behind Helen Greek Food and Wine would be opening a restaurant serving classic red sauce Italian-American fare, I assumed that owners had simply decided to bring the nationwide trend, best exemplified by New York’s Carbone, to Houston. In fact, I had underestimated chef William Wright’s legitimate affection for this comforting fare. The care demonstrated in dishes like the caprese salad that features freshly pulled mozzarella and a massive, crispy chicken parmesan both elevate and redefine classic dishes for a modern audience. The handsome dining room by designer Erin Hicks makes the space feel far older than it is, and a top flight cocktail program from bartenders Josh Bearden and Lainey Collum (who recently left the restaurant) makes sitting at the bar just as appealing as lingering on the patio. This replacement for the El Cantina is all about the meat, which becomes pretty obvious once diners spot the butcher shop that’s built into the restaurant. Watching the staff cut steaks on a band saw during serving is kind of fascinating and serves as a good reminder that the restaurant utilizes locally sourced meat and pork from partner Felix Florez’s acclaimed Black Hill Ranch. 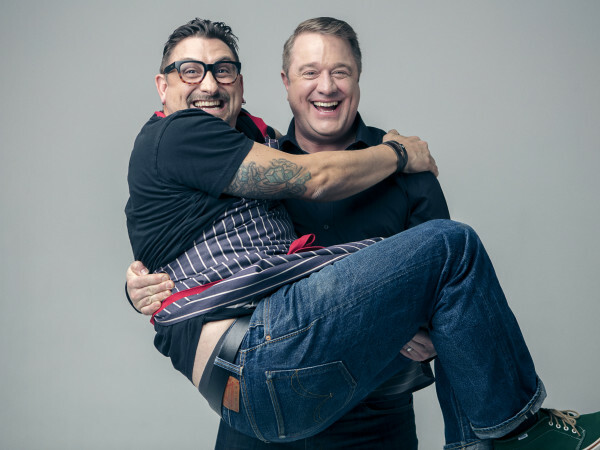 After going through two chefs in quick succession, owner Ken Bridge turned to Crash Hethcox to stabilize the kitchen. Hethcox ran the restaurant during the period when F.E.E.D. 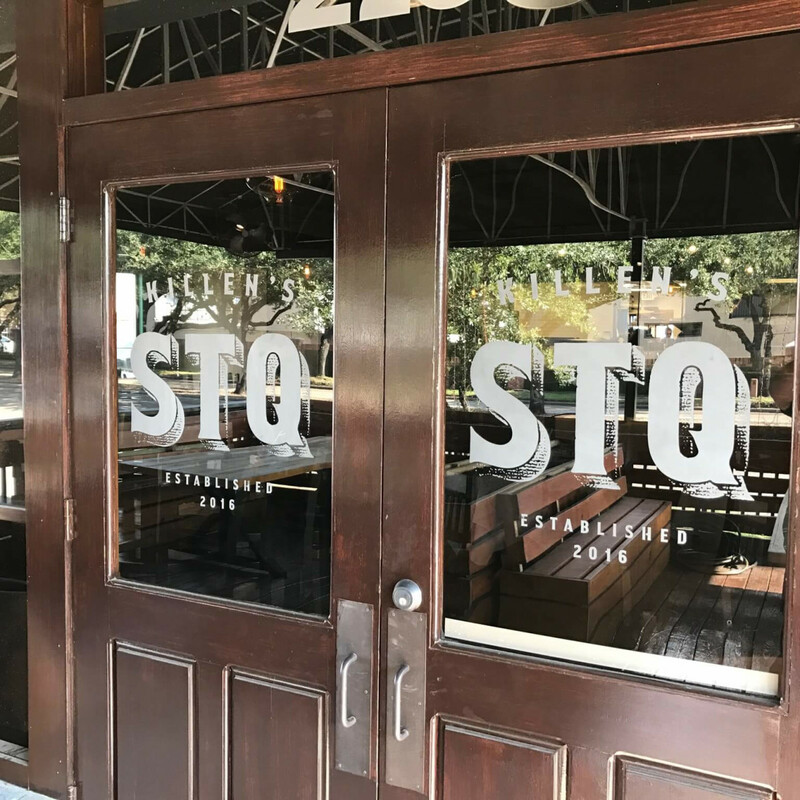 TX operated the El Cantina, and his expertise has been useful in refining the casual steakhouse into a dependable neighborhood restaurant. All that food gets paired with a solid beverage program that includes one of the best selections of craft beer in Houston. As the opening of the White Oak Music Hall demonstrates, the Near Northside neighborhood is evolving. Located next to the iconic Gerardo’s Drive-In, The Edison represents the first restaurant to serve the area’s new residents. Chef Michael Sanguinetti’s menu not only features crowd-pleasing dishes like a lamb burger and fried quail, but it’s extremely affordable, with only a couple of shareable items priced over $15. With a stylish, indoor-outdoor space in the mold of places like Wooster’s Garden and Cottonwood, The Edison seems poised for years of success. With this pick, I’m betting that the best parts of my two meals at Nobie’s will become the norm as the chef Martin Stayer and his team iron out the kinks and refine their recipes. Dishes like chicken liver mousse, loaded baked potato bread, and a raviolo special show such thoughtful attention to detail that I’m confident the blips encountered in a couple other dishes will get smoothed out. Beyond that, the space’s retro vibes gives it a warm feeling that just makes me want to go back for more.